A black mold problem can have a serious impact on the health and wellbeing of you and your loved ones. When your indoor spaces become contaminated with mold, you or a family member may develop some of the most common black mold symptoms. To determine whether your house is in need of mold removal, it is important to be on the lookout for some of the most common health problems that can be caused by mold exposure. For example, exposure to black mold has been linked to chronic respiratory issues. Additionally, black mold can aggravate symptoms of asthma and other diseases. 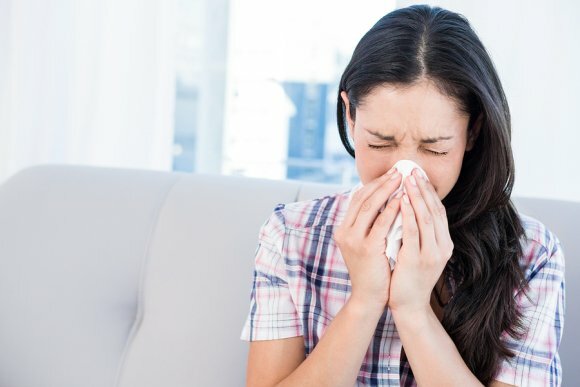 Some other common mold symptoms include sneezing, sore throat, runny nose, and red or itchy skin. If your family members are experiencing any of these symptoms, do not hesitate to schedule mold remediation in the Hamptons . A mold removal procedure will eliminate the source of your mold symptoms and allow you and your loved ones to lead happy and healthy lives at home. During the winter months, excessive moisture and cooler temperatures can put your home at risk of developing a mold infestation. While black mold may seem like it is simply an unsightly nuisance, a mold problem can cause air quality problems and a variety of other very serious concerns. For help dealing with a mold problem, you should be sure to contact a company offering mold remediation in the Hamptons . With the services of a mold removal company, you can feel great knowing that your household mold problem has been completely eliminated. Read on for a closer look at some of the most common causes of mold. Mold requires moist conditions in order to grow and thrive. If your home has a very humid environment, these conditions can create a mold problem. In addition, homes in areas with naturally high humidity may be at risk of developing mold infestations. To ensure that the humidity in your home is not causing a mold problem, it is essential to make sure that your indoor spaces are properly ventilated. Leaking pipes are also a common cause of mold issues in homes. When your plumbing springs a leak, you may not notice the damage for days or even weeks. As your pipe drips into your drywall or flooring, it will add excess moisture to the structure of your home. When a leaking pipe is left untreated for a long enough period of time, a mold problem may develop. Black mold is commonly found in the basements of homes. When your basement or foundation experiences structural problems, moisture could leak into your home from the surrounding earth. Any structural issues in your basement can also lead to basement flooding and other issues. If you suspect a mold problem in your basement, you should be sure to contact a mold remediation company right away. Your mold removal specialists will have the equipment and experience needed to fully eliminate your mold problem. In the event that your carpets become contaminated by flooding or water damage, it is essential to take the steps needed to prevent a black mold infestation . When your carpets are wet or soggy, they can create the perfect environment for mold to grow, leading to the need for mold removal. The first step of preventing mold on your carpets is to remove any excess moisture with a wet vacuum that has been designed for water removal. Once the moisture has been removed, you can apply an enzyme cleaning solution. Finally, it is important to make sure that your carpets are allowed to fully dry. For assistance with mold removal on your carpets, you should be sure to schedule services with a company offering high quality mold remediation in the Hamptons. Indoor air quality is an essential concern for any household. When your indoor spaces are contaminated by mold or other harmful substances , the quality of your air might suffer. As a result, you or your loved ones could develop black mold symptoms, such as respiratory ailments, sinusitis, or other conditions. Fortunately, a company offering mold remediation in the Hamptons can help you improve the indoor air quality of your home. With proper mold removal and basement waterproofing, you can eliminate mold spores from the air that you breathe. If you are concerned about your health and safety of your family, here is a closer look at some frequently asked questions about indoor air quality. In order to understand the importance of proper indoor air quality, it is essential to understand how indoor air quality is defined. According to OSHA , indoor air quality is a term that describes how indoor air relates to the comfort, safety, and health of the occupants of a building. 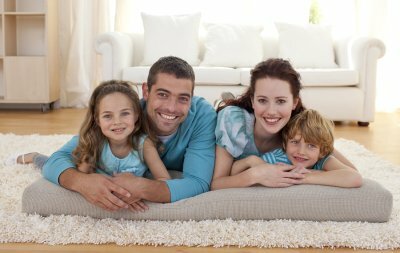 With good indoor air quality, you can help protect the health of your loved ones. When your indoor air quality is poor, it is important to get to the bottom of the issue. There are several factors that can cause poor indoor air quality in a building or home. For example, if a room is not properly ventilated, poor indoor air quality may develop. Other causes of poor indoor air quality include black mold and excessive moisture or dampness. How Do I Know If My Home Has Poor Indoor Air Quality? There are several steps that you can take to evaluate the indoor air quality of your residence. First, you can determine whether there are any lingering musty or bad odors in your indoor spaces. In addition, you can also check to see whether you or a loved one are experiencing health symptoms that can be caused by poor indoor air quality. For example, chronic respiratory issues at home might indicate an indoor air quality issue that calls for professional mold removal. Mold growth is a common problem that is brought on by excessive moisture over a prolonged period. Bathrooms, basements, and crawlspaces of homes near The Hamptons are particularly susceptible to mold growth because of the constant presence of moisture. 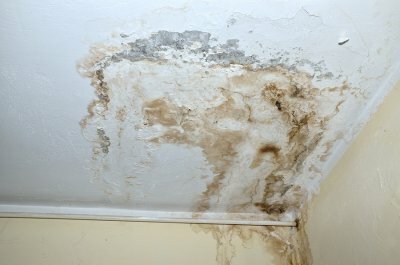 In most cases, addressing the issue of trapped moisture is just as important as mold removal , particularly in the case of dangerous black mold. While large amounts of black mold should always be remediated by a mold removal professional, small mold growths should be quickly addressed by homeowners. This video will walk you through the steps of identifying black mold in your bathroom, and what you should do to kill small amounts of mold before making repairs. You’ll also learn why calling a professional mold removal and water damage restoration service for severe mold growth is better for your home and health.